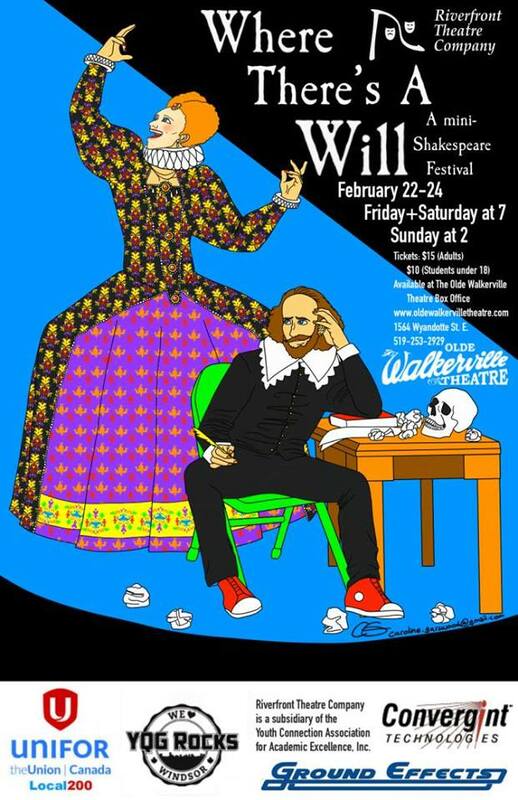 Friday, February 22, 10 a.m. school performance (booking in advance only)Friday, February 22, 7 p.m.
Saturday, February 23, 7 p.m.
Shreds and Patches is a re-imagining of Shakespeare’s Hamlet. The location is a “wellness facility” for disturbed teens. Dane, our anti-hero, confronts his bullying step-father and self-centered mother with the help of his fellow patients and Dr. Osric. Will Dane be able to get through to his mother about “the king of shreds and patches” or will he be left in the dark? The play fuses Shakespearean speech with modern dialogue, reinforcing the notion that the teens and adults speak different languages. Did you know that Cymbeline has all of Shakespeare’s most famous plot devices? It has… Faked Death! Mistaken Identity! Parental Marital Veto! But wait, there’s more! Join our players as they tackle the play in the Shoestring style, which emphasizes ensemble, the physical space (with all scenery created by living tableaux) and audience interaction. He pleads to the one person who can help him – Queen Elizabeth the First. Queen Lizzy, who could be a writer herself if she weren’t so busy crushing the Welsh, sends Shakespeare around the world in 30 minutes. Denmark! Venice! Egypt!